Just the start you've been waiting for! Step back in time with this mostly original but absolutely immaculate blonde-brick classic, set atop a great 537sqm (approx) parcel of primely located land in one of the most popular streets in Frankston North. Neat, tidy, and beautifully maintained inside and out, it offers all the fundamentals for a wonderfully comfortable lifestyle. Structurally solid and ready to enjoy immediately, with great potential to add genuine value through minor cosmetic updates, to extend and enhance. A neat entry leads to two large living zones - an L-shaped formal lounge and dining with a gas heater, and a separate family meals area, with adjoining fully functional kitchen. 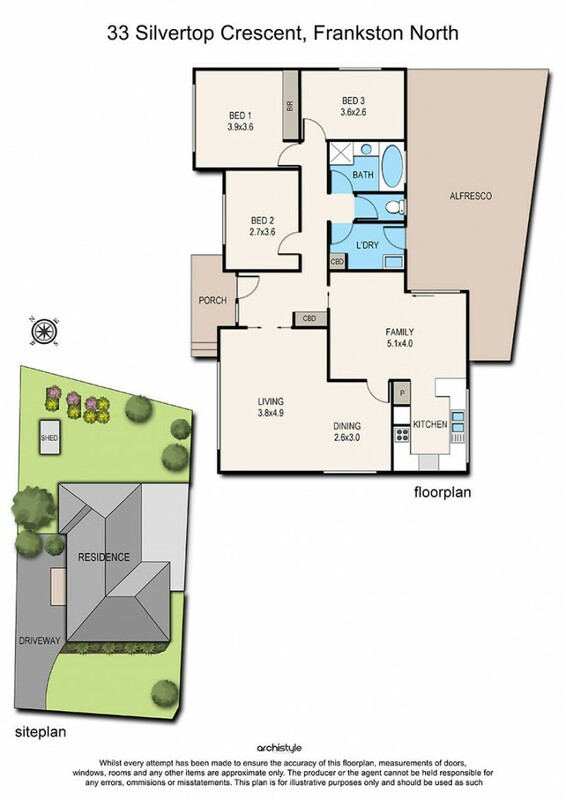 A large, flexible layout, immaculately maintained throughout the course of its lifetime with a neutral paint palette. Comprising 3 generous bedrooms; main with built-in robes - all are easily serviced by the well looked after original bathroom with a bath and a shower, plus a separate toilet and laundry. Spilling out into the huge entertainers alfresco area & gloriously large backyard where you'll recall childhood memories of endless summer days with the kids playing on the swings, playing backyard cricket or just generally running amok! Across the road from Monterey Secondary College and just short walking distance to IGA, Pines Football & Cricket Club, Aquatic Centre, Mahogany Rise Primary & Monterey Community Park. Whether it's your next "home-sweet-home" or a rewarding renovation project (potential rent: $335-$360 per week), this excellent home delivers everything on the wishlist and more! Call us today to settle into your very first home or add another investment into your portfolio.